Raise your own bees with this 8-frame beehive cottage. Each wooden hive is Made in the USA and is ideal for urban spaces—like small backyards or roof decks. Stack the modular components, and the bees will seal it up with a byproduct of their honey making—there’s no need for nails. 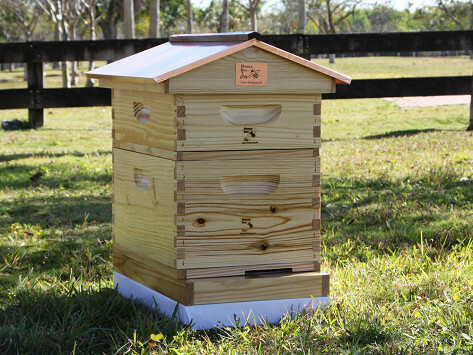 A copper roof protects the hive from the elements, and the internal feeder reduces intrusion by pets and pests. Once the hive is set up, order your own colony of bees, and soon it will be buzzing with activity.